The Communist Party of India CPI(M) on Monday demanded re-polling on 464 polling stations in the state and asked the Election Commission to ensure free and fair election in the second phase of polling on April 18. 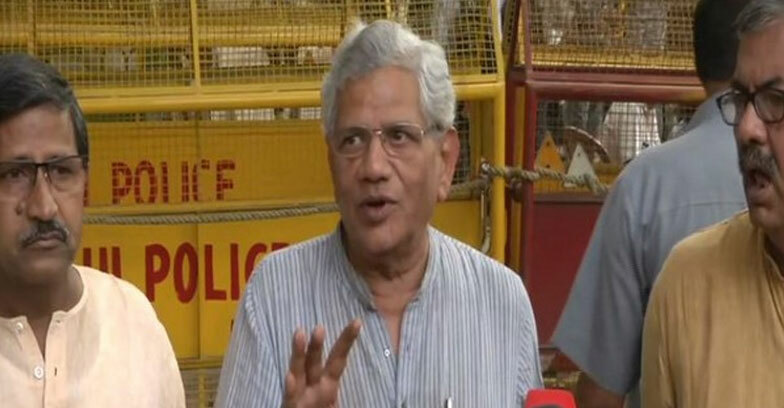 “Booths were captured after closing the doors.After our candidate asked for CCTV footage of the polling booths,he was denied.The CCTV clips were edited and manipulated in order to ensure that nothing can be caught in camera,” CPI(M) general secretary Sitaram Yechury told reporters after meeting EC officials here. He demanded re-polling on 464 booths in Tripura.He also said that there was no deployment of forces in West Tripura constituency during the polls which went to polls in the first phase of April 11. “The voting percentage was around 53 per cent before the last two hours of voting which jumped up to around 80 per cent by the time it ended,”Yechury alleged.